Contact your local Locksmith Birmingham Services from £35. Established 2003. Cheaper. Faster. Locksmith Birmingham is a fast response locksmith service that offers quick time long lasting solutions to ordinary and extreme lock and door issues with no call out charge and no VAT to pay on any of these aforementioned services or parts required i those services. Emergency or non emergency, locksmith Birmingham can get someone out to you in no time or at a later time to suit you. Locksmith Birmingham is here to provide comprehensive locksmith services if and when you need them in the Birmingham and surrounding areas with no fuss and no mess from start to finish. Locksmith Birmingham deals with lock outs, lock changes, new lock installations, UPVC doors and windows and much more. Just speak to one of our advisors today and we’ll sort you out from start to finish. 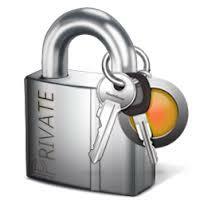 Locksmith services have never been so easy to acquire. Locksmith Birmingham, speak to the professionals and get your locks fixed today! For detailed advice on your home security situation, get in touch Locksmith Birmingham Services as featured on BBC West Midlands. 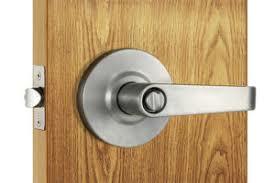 If you give us a call we can book you in to ensure you have the safest door locks available. We can fit anti-snap locks same day today and carry a range of standard and diamond rated anti-snap locks. Today we would like to let you know about a home security tip which escapes the minds of many in our day to day busy lives. There is indeed an increased risk for home intrusion, however there is no need to think that that type of threat can’t be properly defended against. Of course one needs to have the right type of protection in place at home, and our workers of locksmith Birmingham services can help make sure that you do. But there are also that, at times overlooked thing of common sense. In stating habits such as always locking the door behind you, never leaving windows open, not leaving valuables in plain sight from the outside etc. All these little things that we know, but sometimes don’t do. First class locksmith work to homes and businesses. A fair price is what you need when you’re locked out. Go direct with a local locksmith Birmingham for that personal customer care and service. Choose a locksmith who can access quickly with no damage at the best price. Any lock, any door, UPVC and more! Non-destructive entry and all lock out services provided. Locksmith Birmingham is your local number one for fast response locksmith services near you. Call now and speak to one of our trained advisors today about all of the great locksmith services we offer and all of the not so fantastic problems that our professional and comprehensive services can solve. Locksmith Birmingham takes care of it’s customers and on the rare occasion that we don’t get something right the first time we’ll come back and fix it for no additional charge. What’s more is that locksmith Birmingham doesn’t charge call out fees AND we don’t charge VAT either. Call today and see for yourself why we’re Birminghams number one emergency and non emergency locksmith services if and when you need them the most. Locksmith Birmingham are here to help. Local Locksmiths services near you 24/7 365 days of the year with no call out charges and no VAT to pay, it’s that simple. Locksmith Birmingham are your number one for fast response locksmith services in the Birmingham and surrounding areas 24/7 365 days of the year. No matter what the time or date we can get a locksmith out to you either right away or at a later time to suit you. It’s really never been easier to get a locksmith out in the Birmingham and surrounding areas. So next time you need a locksmith and you don’t fancy waiting months on end and you don’t want the job to cost you an arm and a leg then give us a call. We’re fast to respond and we’re competitive on price. Locksmith Birmingham are here for if and when you need us whenever or wherever that might be. We don’t charge call out charges and when you call today you won’t pay a single penny in VAT either which makes our competitive prices even more competitive! Call the professionals today. Locked out? Need assistance in the Birmingham or surrounding areas? Need that assistance either right away or at a later time to suit your busy schedule? Locksmith Birmingham is here to help, with 24/7 coverage of the Birmingham and surrounding areas and over 20 years experience AND all the tools and skills to get you through any lock out or other locksmith situation locksmith Birmingham should be the first locksmith you call. Locksmith Birmingham have been around for a number of years and we’re constantly faced with new problems and issues to wrap our heads around and that’s why we love what we do so much. No lock is too big or small, and no site is too far or too wide in the Birmingham and surrounding areas when you come to Locksmith Birmingham. What’s more is that when you call locksmith Birmingham today you won’t pay a single penny in call out fees, just one of the many ways we keep our already competitive prices as low as they can possibly be for our customers. Call now and speak to one of the professionals about all of the great services we provide and all of the not so great problems we can solve for you, today! Locksmith Birmingham is your local fast response locksmith for the Birmingham and surrounding areas. With no call out fee and no VAT to pay on any of our services we should be the first people you call when you’re having lock issues and you need them sorted fast! Whether you’re locked out or just fed up of waiting locksmith Birmingham has the fast response times and skills to get you through any lock or door troubles you might be having. It’s one thing providing a comprehensive service but it’s another to provide that service at a competitive rate and that’s exactly what we do! Locksmith Birmingham has over 20 years experience and all the tools to make any lock troubles a thing of the past, today. Call now and speak to one of our trained office advisors and ask us anything you like about our services and the problems they could help you solve. Locksmith Birmingham, here for if and when you need us most! Locksmith Birmingham have over 20 years experience and that means we’ve been providing locksmith services to the people of Birmingham and the surrounding areas for a little while now. Whilst we’ve been around the whole of Birmingham and some of the surrounding areas with our work we’re not planning on letting up any time soon. Locksmith Birmingham are here for if and when you need us and you’ll be able to tell that by our office advisors who stay on call just like our locksmiths 24/7 365 days a year. What’s more is that anytime you call locksmith Birmingham you won’t ever pay any call out fees and we won’t make you pay a single penny in VAT either making our prices even more competitive than they already were. Call now and speak to one of our trained advisors about things like, the types of services we provide, where we provide those services to, our availability to provide those services and most importantly the price you’ll be expected to pay for those services. Call today and find out for yourself. Don’t just call any locksmith, call locksmith Birmingham. Locksmith Birmingham are your local fast response locksmith service for the Birmingham and the surrounding areas don’t hesitate to callus next time you need locksmith services in the Birmingham an surrounding areas and what’s more is we cover the whole of the Birmingham and surrounding areas, not just 9 to 5 but 24/7 365 days a year. Call us now and speak to one of our friendly trained advisors about all of the great services we offer for you at your home and at your work. Call us now and speak to one of the trained professionals who’s going to try and help you save some money as best they can. What’s more is that as well as offering fast response times, we also don’t charge call out fees and we don’t charge VAT so when you speak to one of our trained office advisors, what they quote is what you pay. Call now and see how much money we could save you today! Is it worth paying locksmith Birmingham professionals extra for anti pick and bump lock installations? If you are having your door security updated. If your lock is getting changed. You may as well go with a high security variety that is likely to last you much longer. And at the same time keep you better protected against the threats of today. The burglars we are up against in current times are crafty, and have plenty of tools at their disposal. They are smart, and fast. That’s why a locksmith Birmingham security installer must be one step ahead at all times. By calling us now, you can keep that lead with a skilled engineer who can both install and supply you with the anti pick and anti bump locks you need. As well as help you find the additional security features you wish to have installed for your door. Such as mortise locks, peepholes, security chains and more. A skilled locksmith Birmingham helper and professional in your area will always recommend that you get all your security installations done by a professional with the right tools and parts. Extra long screws, strike resistant additions to the frame, and additional securing of the door frame may be needed to bring your security up to date in the field of locksmith Birmingham security. You’ll feel and be safer with a skilled locksmith Birmingham engineer at your side, and you’ll be surprised at the competitive prices you will find with us if ours is the number you dial for the professional help you require. Get skilled locksmith Birmingham engineers out for your lock installation, your latches, your high security letterbox installations and more. Of course alarms, keys and other security features such as window locks and patio door locks are things we can help with at any time. And around your schedule. Locksmith Birmingham is your 24/7 365 day a year fast response emergency and non emergency locksmith for the Birmingham area. Locksmith Birmingham are here to solve your lock issues and make them a thing of the past, today. Whether big whether small locksmith Birmingham are always around to solve any lock issues whether right away or at a specific time to suit you. Call now and speak to someone today about all the amazing services we offer. 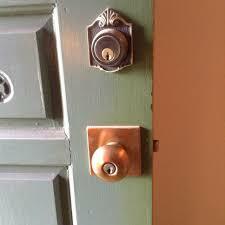 Locksmith Birmingham are here to take the stress f faulty locks away. With no call out fee and no VAT to pay and with fast response times as well as amazing availability to perform every locksmith task you could think of, look no further when you’re looking for a reliable fast locksmith for the Birmingham area. Locksmith Birmingham are here to take your mind off lock troubles so you can focus on the more important things in life like your work or family. Locksmith Birmingham knows what it’s like to have an unsecured home, especially when you have family. Call now and we can make the guilty conscience go away as well as your lock faults. Call locksmith Birmingham now. Here at locksmith Birmingham we’re dedicated to providing a fast response service for you and the people of Birmingham and the surrounding for if and when you need us most. Call us now and speak to one of our trained advisors about all of the amazing services we offer, our availability to provide those services and most importantly the price we charge for those particular services. That’s right what you pay depends on what the task involves we provide the quickest and most reliable services in the Birmingham area when it comes to emergency and non emergency call outs for you at your home or at your work. Call today and speak to one of our trained friendly advisors about all of the types of services we carry out such as lock outs, lock changes, and even new lock installations as well as a bunch of great services for UPVC doors. Call our trained advisors today and we’ll get to the root of the problem fast and make sure the problem is a thing of the past, today! Here at locksmith Birmingham we’re number one for fast response professional locksmiths. we operate all around the Birmingham and surrounding areas 24/7 365 days of the year so if you need a locksmith in the Birmingham areas we can send someone out to you at the drop of a hat or at a time to suit you. We’re dedicated locksmiths with over 20 years experience and all the tools to make any locksmith situation a thing of the past, today. Call our trained advisors and speak to someone who cares about you, not the sale. That’s right e don’t employ sales tactics on our phone lines, that’s because we want our advisors to present information about our services and the prices of those services for the now informed customer to make the decision about what services they need from us. What’s more is that locksmith Birmingham deal with all sorts of locks and all sorts of services including lock outs, lock changes, and even new lock installations. We’re 24/7 so there’s never a bad time to ring us for a locksmith. What’s more is that we keep our prices as competitive as they can be in order to beat opposition. Our prices are low anyway but when you factor in that we don’t charge call out fees and we don’t charge VAT then our prices are ridiculously competitive. Don’t call any old locksmith, call your local locksmith Birmingham, today! Here at locksmith Birmingham, we appreciated the little heatwave we had recently, but we only got to appreciate the warm weather out of work, as in work the hot weather made our lives just a little bit more difficult. So what does this mean? Does this mean that we’ll stop or won’t be around because of the weather? No we’re still active, and we’ll still get to you in the same time as if it were normal weather. Well do we charge you extra because of the extreme weather and working conditions? Absolutely not, we’d never charge you extra for something you can’t help, so that means it’s business as usual for locksmith Birmingham, we’ll be there in the same amount of time as usual and the cost will be the same as it usually would be! Locksmith Birmingham, we just want to provide the most easy to use streamlined and simple locksmith service in the Birmingham area, and we think we’re doing a good job of it too! it’s always been our goal to make the fastest action locksmith in the whole of Birmingham, and while we wouldn’t out right claim that title (due to all of the other great locksmiths in Birmingham) we think we must be up there with the fastest. Call our lines today and ask our trained staff anything about any of the great services we offer and anything in between, locksmith Birmingham are here for you, that’s why we have 24/7 365 day a year manned phone lines so you’re never left in the dark with any of your work. Locksmith Birmingham, we’re here for you when you need us! Locksmith Birmingham Services and The Local Community. Locksmith Birmingham Services pride themselves in working in Birmingham and the surrounding areas so they can provide a high quality Security evaluations to make sure that your home is as secure as possible, to prevent break ins. They can also make sure that your home is up to all of your home insurers standards. Locksmith Birmingham service crews do this by making sure that all possible access points to your home are made secure either by installing a lock or bolt to make sure that no one can gain access without a key. Be aware large house parties can be the perfect environment for a potential burglar to steal your keys to come back at a later learn that your home has been burgled with no signs of a break in so not covered by the insurance company. Locksmith Birmingham security experts have pride in themselves in working alongside their local community to make sure that people feel safer in their own homes and business properties. They are a group of locksmiths who love supporting local businesses within their community. Make sure that your home is made more secure by only letting trusted friends and family members to have a spare set of keys, allowing your neighbours a set is not always wise. People often label keys that are not there is which means that it could be an easy way for burglars to gain access to your property and you would not be able to claim it back through most insurance.Locksmith Birmingham pros can assist alongside local police in order to prevent future break ins and help you feel more secure if this has unfortunately already happened to you. The police will always suggest that you have your locks changed if your home is broken into to make sure that security is up to scratch. If you’re locked out and need access fast call now. 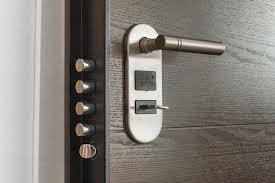 Offering a value for money service which includes access solutions, emergency work and security systems. We understand that you want a Locksmith Birmingham who can be relied upon to complete a locksmith or security task quickly, efficiently and to the highest of standards. Locksmith Birmingham deal with all sorts of locks from mortise to night latches, locksmith Birmingham really has to be prepared for all situations in a day. Locksmith Birmingham often faces unexpected variations of locks. But just because they’re unexpected doesn’t mean we’re not prepared, in fact locksmith Birmingham deals with these issues every day, the most common minor inconveniences are mostly when the lock is slightly different to what we were expecting, rather than completely the wrong thing we were expecting. The worst culprit for this is euro cylinders on Upvc doors, we’ll get to a job read to tackle a upvc euro cylinder which is as standard is shaped as sort of an ice cream cone. 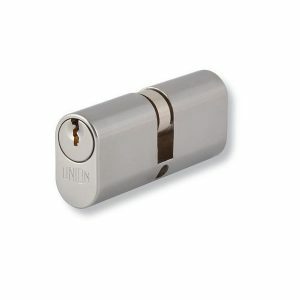 Then locksmith Birmingham finds that it’s not at all a normal shaped euro cylinder but in fact it’s a oval shaped cylinder, these are slightly more expensive but don’t have any real safety benefits and the only difference between this and a normal shaped cylinder is purely aesthetic. Are companies putting in these more expensive locks when they don’t need to to try and get more money out of people? No, if a locksmith replaces your euro cylinder it has to be like for like, so don’t be worrying that we’re going to charge you extra fir the sake of it. Call your local locksmith Birmingham today for all of you euro cylinder, night latch or mortise lock changes today, we’re ready. Locksmith Birmingham are a small outfit made up of local locksmiths and office advisors that are here to deliver a professional locksmith service 24/7 365 days a year if and when you need us for a low competitive price with no call out charge and no VAT. We’re dedicated to making sure your experience with us is one you can be happy with. We make sure this is possible with our fast response times and our professional approach to our work. With locksmith Birmingham there will never be a time where you’re shut out of your home or place of work without a locksmith there to help you out. 24/7 365 day a year service including weekends and bank holidays to make sure any lock trouble you may be having can be a thing of the past, today. Whether you need us right away or at a later time to suit you we’ll always be around to provide the best locksmith service we can possibly provide. Locksmith services across the whole of the Birmingham and surrounding areas that you can depend on. Call locksmith Birmingham today! Here at locksmith Birmingham it’s always a busy time for our locksmiths, that’s because locksmith Birmingham is always about 24/7 365 days of the year waiting for any sort of lock out or locksmith situation in which we can come out fast and help anyone in the Birmingham and surrounding areas with their locks, keys or doors for a competitive rate with no call out charge and no VAT. Locksmith Birmingham is your one stop shop for all lock outs and lock replacements in the Birmingham and surrounding areas. Locksmith Birmingham can even perform new lock installations on internal or external doors so you don’t even have to have locks on your doors at the moment, if you want added security at your home or your office today just call locksmith Birmingham. Locksmith Birmingham is your local trusted locksmith for the Birmingham area. Locksmith Birmingham have trained office staff on the phones 24/7 so any time you need support or a locksmith out. Locksmith Birmingham have over 20 years experience and all the tools to make sure you get back into your home in a lock out situation we’re quick we don’t charge call out charges and there’s no VAT any time any place in the Birmingham and surrounding areas. Locksmith Birmingham has over 20 years experience and that experience isn’t something we’ve just forgotten about, we use this experience and our tools to resolve all and any locksmith issues or even door alignment issues, whatever it is if yo can’t get back into your home or business or you’re afraid someone else who isn’t supposed to be there might be able to gain access, Locksmith Birmingham will be there to let you back in and change the locks and keys if you need it! Locksmith Birmingham is always around fixing locks and letting people back into their homes, this means that when you call us up our guys are already on the road ready to take your lock out on, this means we could already have someone near you, in a van with all the locksmith tools to get you back into your home! Call locksmith Birmingham today and find out what it’s like to deal with professionalism all the way through, from the office staff that take your initial call, details, and send someone out to you in lightning speed in an emergency. Right through to our locksmiths who let you back into your home after you’ve locked yourself out. Locksmith Birmingham offer a load of great services at competitive rates for the whole of Birmingham and the surrounding areas, locksmith Birmingham are quick to a scene of a lock out and we’re always available if you have a tight schedule and need someone at a specific time. One of the least in demand but one of the most complex services we offer is that of a new lock installation. A new lock installation varies from a normal lock replacement, in that when we’re replacing the lock it’s just a matter of sliding out the old one and fitting the new one into the existing hole, rather with a new lock installation the holes that house the lock nest and the lock body won’t be there and will have to be carved out so the lock can be installed. Firstly the locksmith will find the center of the door as this is where the lock needs to be. 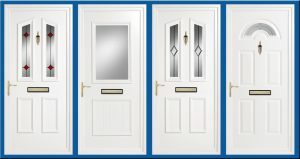 We’re also UPVC door specialists and carry all of the parts for most UPVC doors and can offer good prices on those parts as well as installing them for you. Call us today and speak to one of our trained advisors today and we can give you a quote or any information you’d like on the services we offer and where we offer those services to. Here at locksmith Birmingham we deal with absolutely every type of lock, door, and key you could imagine! Over years of experience locksmith Birmingham is capable of dealing with any type of lock you might throw in front of us, this now includes all different types of manual mechanical code locks. Locksmith Birmingham can fit, repair, replace and install you with a new mechanical code lock today, what’s more is we’ll even supply the mechanical code lock for you and do it at a very competitive rate. no matter whether you’re looking to add extra security to your office or you just need a replacement locksmith Birmingham will be there if and when you need us. Mechanical code locks are good for adding extra security to doors or even just saving money on keys, while good mechanical code locks aren’t cheap if you work in an office with a large number of staff a code lock would definitely be cheaper then providing everyone with a key. Instead all you’d have to provide them with is the correct combination to the code, and then if you’d like you could use a deadbolt to lock the doors out of hours, this keeps costs down to a minimal and makes it easier to manage and maintain your locks if they become damaged or broken, as with a mechanical lock you won’t have to replace the lock unless it’s faulty because there isn’t any keys to lose. Call locksmith Birmingham today and speak to one of our trained office staff today and see what advise we can give to you about making your home or office space that little more secure. Mechanical code locks fitted, repaired, replaced, and even installed, all by your friendly local locksmith Birmingham, call now and see if we can’t get toy you today! I know that when you’ve lost your keys or snapped the key in the barrel that you want, Locksmith Birmingham who will attend quickly at a fair price. That is what you should expect from a good Birmingham provider. For these very reasons I offer clear pricing that is the most competitive in Birmingham and I make sure that I provide you with a true arrival time so know exactly how long I will take. 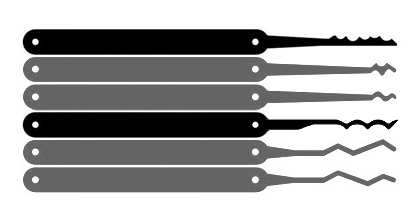 For doors, windows, safes, unlocking, picking and more! Mortise Locks – Usually opened with a long L shaped key, these locks are usually found on wooden front doors and they can only be unlocked by a key from both sides. These are the most stubborn of the three to get through, and they also happen to be the most expensive type of lock that we stock. Euro cylinders – Euro cylinders are the most common type of lock on a UPVC door and will also be found on patio doors, they’re the easiest to drill through and are the cheapest we stock. Be careful to make sure you have anti snap locks when replacing any euro cylinder as this is the most common type of break in through these locks. These locks can either be thumb tab to key or key to key to lock and unlock them. Night latches – Commonly called a yale, although yale is just the most common brand of these locks and they aren’t limited to making these locks as they do make other types as well. These are found as second locks to front doors and inside apartments and flats, as the thumb tab on the inside ensures anyone can leave in an emergency. Sometimes these can be opened by carding without even breaking the lock but that depends on the size of the gap in between the doors, if the gap is too small this method won’t be possible. All of the locks that we use are up to insurance quota standard and British standard and if you wish to ask our staff about our locks before we fit them or even on the phone we’ll be happy to answer any questions you may have bout the work we do. Call today adn you might be closer to having your locks changed than you think. Locksmith Birmingham deal with all sorts of work from emergency lock outs every day to the occasional alignment issue locksmith Birmingham have git you covered for everything to do with locks. One of our lesser requested but trickier jobs we take on are our new lock installations these differ from lock replacements slightly as with a new lock installation our Locksmith Birmingham specialists have to perform some joinery to make space in the before plain door for the new lock. Locksmith Birmingham have got the skills and technique to carry out the most difficult of new lock installations for a competitive rate at you convenience. 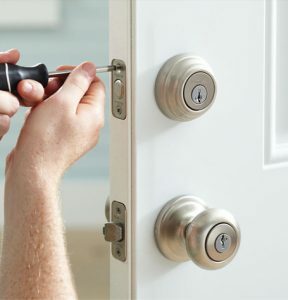 when installing a new lock, first the locksmith Birmingham specialist must make a hole in the shape of the lock body in the center of your door to slot the lock body into. After testing the lock body with the key to make sure it’s in working order the locksmith Birmingham team must assure they can make a hole parallel to the lock body in the door frame for the striking box, the place the dead bolt will go when you turn your key and lock your door. After making the hole and sliding the striking box into place the locksmith will test the lock out to see if it’s working. Call locksmith Birmingham now and see if we can’t come to you for a new lock installation today, or if not today at a time to suit you! Here at locksmith Birmingham we deal with all sorts of locks and keys and different material doors, but none are more common than the UPVC door, although we come out prepared for any lock and any door the most common fault with locks or doors are those on upvc doors. There are a few reasons for this which we will explain now. UPVC doors if not fitted with the right cylinder are at a super high risk of being broken into. There is a method of break in that specifically targets a manufacturers fault in the euro cylinder locks that upvc doors take and this method if break in is called lock snapping, and it’s the most common type of break in on upvc doors in the UK. 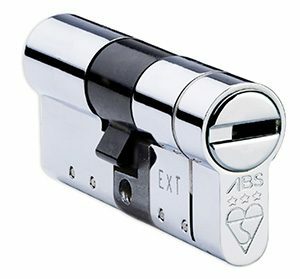 Locksmith Birmingham don’t just put any old cylinders back into your upvc door when replacing them, that’s because locksmith Birmingham only uses anti snap, anti pick, and anti drill euro cylinders. That’s not it, locksmith Birmingham also carry most types of mechanism for most upvc doors. Locksmith Birmingham has over 20 years experience, and over those 20 years we’ve picked up a few things about home security. The main thing we’ve picked up on, and the thing that bothers us most is the lack of use of burglar alarms. We think burglar alarms are one of the best ways to defend against potential burglars. According to a study recently conducted by Which? They found that just 7% of people asked with a burglar alarm had actually experienced a burglary or an attempted burglary and a further one in ten of those 7% had been targeted more than once. So what’s the best type of alarm for your home and what’s the difference between the two? Well the first type, and the most common type of system in the UK is the stand alone alarm, that get’s it’s name from the fact that it’s just an alarm and nothing else, when set off they make a loud noise to inform everybody in the area there’s a burglar about, it’s then up to your neighbors to call the police and report it. The second type of alarm is known as a monitored system, this system works by the owner of the system paying a contract to a security firm who monitor your alarms and when set off will call the police for you. These systems are better for people with fewer neighbors and maybe commercially for people who leave stock in their stores or premises over night. I can attend most properties in around 30 minutes and I keep you updated in case of delay. I provide you with a price on the telephone so you know exactly what you’re going to pay. There are sometimes unforeseen eventualities but in most cases I can gain access without any damage in 9 out of 10 lock out situations. You can count on my years of service in the area and solid reputation as a trusted Locksmith Birmingham. Locksmiths Birmingham Services Why not visit us on Google. How can a small business security locksmith Birmingham inspection help my business? Security, insurance and the future are things that need to be on our minds now and again. Although we have to concentrate on the task before us, without though about future how are we to keep yourself, your loved ones and our businesses safe, both financially and physically. In the locksmith Birmingham area, it’s especially important to ensure that you get your security seen to. The nature of a city is such ŧhat additional security features may be needed. Not to worry though. With a skilled security engineer at your side. There is no locksmith Birmingham security crisis which you can’t fend off. By employing skilled and experienced workers. You will be of the right standards of security. Both to be and feel safe. In life, and on paper. That is to say that a skilled locksmith Birmingham specialist can help you validate your insurance policy. By a security inspection and by going through the requirements stated in your policy with you. There are only great reasons to get a local locksmith Birmingham provider to assist you with your home or business’s security, key and lock needs. The locality means that there is something at stake. Any skilled, caring and local locksmith Birmingham provider will always treat your security and your safety as they would their own. And with us you are guaranteed low prices and great service on top of that. From business installations such as safes, grills and gates, shutters and more. To home security and emergency lockout resolutions. A local locksmith Birmingham professional is always near if you have the number for us saved in your pocket. 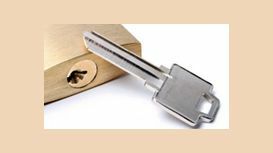 With a security specialist who cares in the locksmith Birmingham your business security is made solid though high standard security inspections. Call and book yours today. It seems easy these days to rely solely on commercial enterprises. Whether it’s food, clothes or any other aspect, we seem to go more for trusted brands than friendly, booming local businesses. Obviously there’s an element of human psychology behind this, but your locksmith Birmingham is baffled by this fact considering the number of excellent small and medium-sized businesses that regularly require our services across the city. 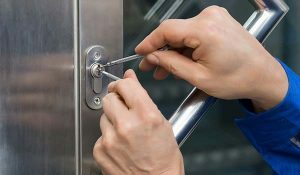 This is not to pay any disrespect to commercial enterprises, after all your local locksmith Birmingham is proud to assist businesses of any shape and size when they encounter a security emergency. What your locksmith Birmingham is simply saying is that the team of expert men and women here thrive off assisting local businesses. We understand their importance in the local economy as unlike other larger businesses, the money is usually reinvested locally. However, economics lessons aside, we’re proud to support small, local businesses in anyway we can. That’s why we’re a 24/7 commercial locksmith Birmingham. We understand you can find yourself locked in or out of your commercial premises at any point in time. Depending when it occurs, this can leave your property vulnerable or drastically impact on your day’s takings if you’re delayed in opening up shop. Our dedication to serving you is what we believe sets us apart from the competition. We’re not simply an emergency locksmith Birmingham. 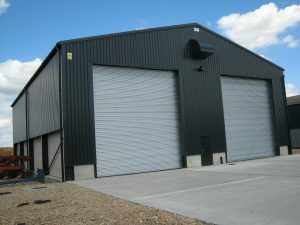 We’re proud to deliver the perfect security solutions for emerging businesses when they move into brand new premises. 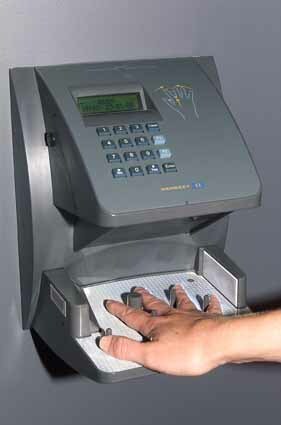 Of paramount importance is ensuring your security is in top condition. This means you need a locksmith Birmingham to potentially help you change the locks, install alarm systems and maybe even CCTV! If you employ a large number of people and work in customer-facing trading business, you’ll need your locksmith Birmingham to most likely help you install a security safe for the day’s takings and lockers for your employee’s to safely store their property. Call us today and find out how we can help your business thrive. Here at Locksmith Birmingham, we have to make sure our locks comply with British standards so that when we replace locks, people are still covered by their home insurance. 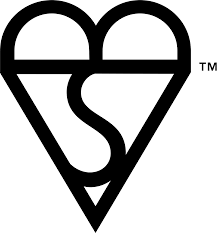 British Standard is an institute that regulates testing on goods to a certain set of expectations and based on whether said lock can surpass these expectations then it will have the British standard kite mark engraved (see photo below). This is important as most insurance companies will insist that you use British standard locks to protect your home, or they won’t cover you. 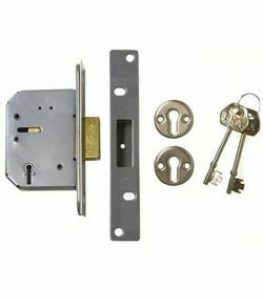 BS3621 – This covers mortise cylinder rim locks that use keys for entrance and exit on both sides, if up to standard these locks are safe unless the assailant has the key. 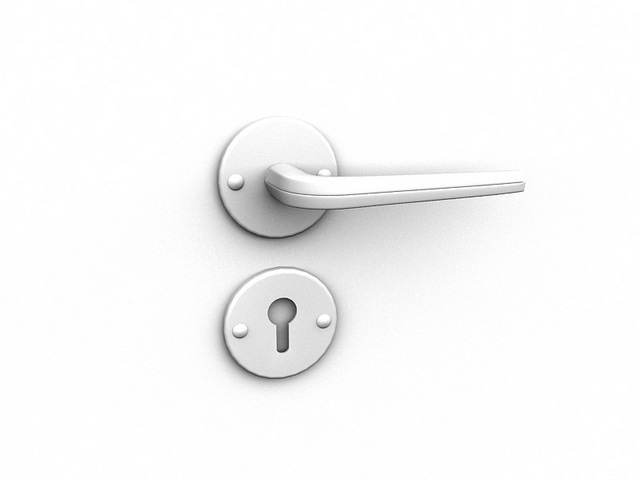 BS10261 – This covers locks that can only be locked from the outside, these locks can be opened from the inside without a key but this function can be removed. All of our locks are up to British Standards so you know if we replace your lock your insurance is still goung to cover you. So if you’re getting new locks or maybe just checking your current locks, then remember this information and you can’t go wrong. Here at locksmith Birmingham we offer a simple and easy to use 24/7 365 day a year locksmith service for the people of Birmingham and the surrounding areas. Locksmith Birmingham are dedicated to providing the quickest and easiest to use service around. Reliable local and fast it’s a no brainer when you get locked out or need a locksmith, just call locksmith Birmingham and speak to one of our friendly advisors who’s trained on how to provide the best customer service and the best information to any customers or potential customers. 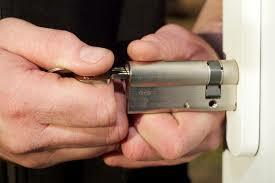 Locksmith Birmingham have fast response times to lock outs and will never let you down. 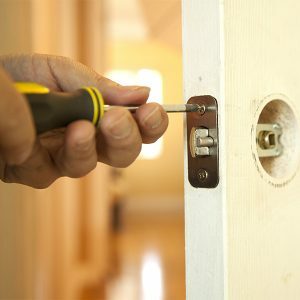 Whether you’re in a lock out emergency situation or you need a locksmith for a non emergency locksmith Birmingham are very good at getting someone out to you the same day, with no call out charge and no VAT, and very competitive rates to boot, locksmith Birmingham should be your first option for any locksmith work you may require. Locksmith Birmingham won’t make you speak to automated messages, or even worse pushy sales people on commission, you’ll be put straight through to our trained office advisors who’ll find the most cost effective way to solve your locksmith issues and then send someone out to you right away if that’s what you need. Locksmith Birmingham provide quotes over the phone so there will never be an nasty surprises when you come to settle the bill. Call today! 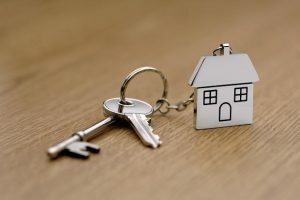 From the time you move into your brand new property throughout until you decide to leave, your locksmith Birmingham is with you every step of the way as your go-to for security related matters. Whilst moving property is in exciting moment in anyone’s life, it’s important that good habits are kept up. The most important thing to do whenever you move property is to have the locks changed. This isn’t to sound paranoid about who may be wanting to come into your property, but it’s better to be safe than sorry! You could purchase the locks yourself and attempt an installation. However, your locksmith Birmingham believes that is another unnecessary stress at the time of moving and it’s not worth risking a poor installation over your security. Therefore, your reliable locksmith Birmingham should be your first point of call when you move home. As with other points over the time of your homeownership, it’s important to regularly request a security survey from your locksmith Birmingham. Threats are constantly evolving and whilst you don’t necessarily have to act on them, it’s worthwhile keeping on top of your security so that you’re fully aware of the options you can take with regard to securing your property. Here at locksmith Birmingham we’re proud to be recommended to family and friends. Whilst we don’t want to see you again too regularly – after all you’ll only need us to secure your property – we are glad that customers keep coming back to us in their time of need. 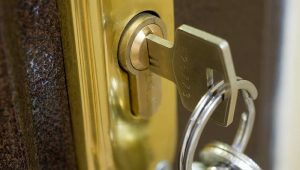 From the beginning of your journey with your home, it’s important to have a locksmith Birmingham you can trust. Not only can we help you with routine procedures at the start, but our 24/7 emergency service means we will always be there for you in your time of need. Every house, every place of business, in fact almost every building in Birmingham and the UK has a locking mechanism. The problem is that not many people actually understand how they work. Even a basic understanding can assist you in resolving any problem quickly and effectively. Therefore, your friendly locksmith Birmingham would like to inform you of some of the common problems affecting locking mechanisms and how they can be resolved. A very common phone call your expert locksmith Birmingham receives is from customers who have returned home to find that either their key won’t enter the lock or that once the key is in the lock, the key won’t turn and the door won’t open. If the issue is the former, there is the possibility that there is simply something in the lock which is jamming and stopping the key from turning. 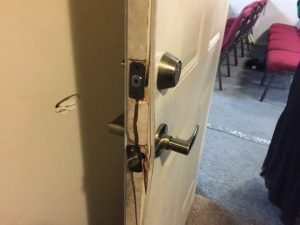 In this instance, a professional locksmith Birmingham will be able to quickly deduce if this is the case. If it is, usually the lock can simply be removed and the blockage unplugged to allow you to use the same lock and key as before. However, if this is not the case it is usually symptomatic of a problem with the lock itself. As such, a simple lock swap Birmingham service will allow you to get back on your feet quickly and have your security in top condition once more. Another common phone call, particularly affecting UPVC doors, is when a part of the door or the lock is spinning. If you have tried to open your door and either the UPVC handles or key in your eurocylinder lock is simply spinning, then it is possible that something has come loose which simply needs to be tightened. However, this is rarely the case and more often than not you will require a new UPVC mechanism. By understanding the common problems which affect the doors of our buildings, you can begin to have a greater appreciation of your own security. It also means that when you call your locksmith Birmingham you will be able to receive an accurate quote for the services you require and understand the possible causes and solutions so that there are no surprises. Here at locksmith Birmingham we know what it feels like when you’re locked out, it’s never a fun time, and it can be an even bigger stress finding someone who’s local, knows how to get you back in and replace your lock if it needs replacing, and can be with you in no time at all, all without charging you and arm and a leg? Well you don’t have to worry about that anymore as locksmith Birmingham has got you covered. Locksmith Birmingham don’t hang about and we have guys all over the Birmingham area waiting to take on your locks. We don’t charge call out fees and we don’t charge you any extra to come straight out to you in an emergency. Locksmith Birmingham are able to get to you fast because we make it simple, because when it’s simple for you it’s simple for us. Call our offices today and see if we can’t get one of our guys on their way out to you today! Our office staff at Locksmith Birmingham are trained to make it as easy as possible for you to get a locksmith out to your house at any time on any day, we’re open 24/7 365 days a year. And if you’re not in a rush why don’t you call in to our advisors who will book you in for a time to suit you! Locksmith Birmingham, we’ve got your back! The most common calls your locksmith Birmingham receives is usually to do with customers having lost their keys, or their keys breaking in the lock, or something else that’s causing trouble with their keys. Thankfully, this doesn’t have to be the way for much longer. Customers can now save themselves the trouble of having difficulty with their keys by investing in a keyless entry system. When people think of keyless entry systems they think of high-tech, expensive security systems such as retina scanners or biometric fingerprint readers. However, the most common keyless entry system is a digital lock. You’ve likely seen these in office doors, or perhaps on the door to the staff room when you were at school. Wherever you may have seen them first, their popularity is now extending outside those of purely commercial premises. For a number of reasons, your locksmith Birmingham happily recommends their installation on homes too! 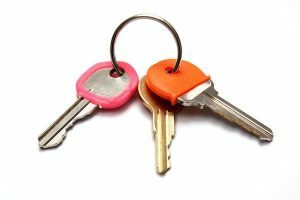 The biggest benefit for homeowners is what has already been discussed; problems with keys! With a digital lock, all you need to do is simply remember the code for your property and you’re in. 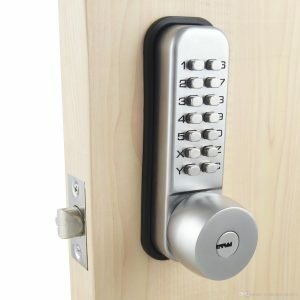 All digital locks are a high-grade of security, but of course different properties require different locking mechanisms. 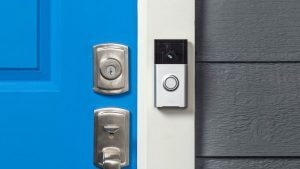 If you’re unsure about whether a digital lock is right for your home, you should call your friendly, local locksmith Birmingham who can discuss quality and price ranges. They are also increasingly helpful for landlords. We receive untold number of calls from landlords who begrudgingly change their locks every time a tenant moves out. However, if they were to use a digital lock they would save themselves a previous amount of time and money. As a digital lock can be reprogrammed at any time, a landlord simply needs to reprogram it when a tenant leaves and the property is immediately secure again. In Birmingham, we have had more and more issues with break-ins thanks to properties only having a Yale nightlatch lock present on their front wooden doors. It is now common policy of your locksmith Birmingham to recommend the installation of a mortise lock to all front wooden doors. 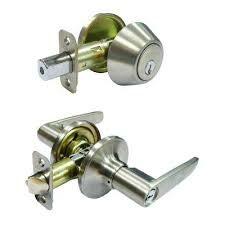 Most properties these days have a variety of cylinder rim lock as they are cheap to manufacture and easy to install. However, convenience can come at a price as they are subsequently easier for criminals to get past in an attempt to enter your property. In fact, it is a minimum requirement for all work we do that a property has a mortise lock present on their front door at least. All our prices are reasonable as we don’t believe anyone should have to be priced out of effective home security and we believe everyone should have this protection as a minimum. Mortise locks tend to be either deadlocks or sash locks. Which you require may very well require on the makeup of your door, unless you’re after a fresh installation. A deadlock is comprised of both a keyhole and a bolt. When you turn the key in the hole, the bolt slides across, through the door, and locks into the door frame. A sash lock has both of these, but also has a latch and handles too. This means that when you turn the key to unlock the door, you have the added layer of security in having to turn the handles too. If you are unsure which may be the best fit for your door, your locksmith Birmingham is more than happy to discuss this with you in person or over the phone. Mortise locks, no matter which variety, also have a number of different levers. Effectively, the more levers that are present, the harder it is to pick the lock. Most home insurance providers now require British Standard 5-lever locks as a minimum requirement in order to validate your insurance policy. Thankfully for the people of Birmingham, that’s the exact same requirement of your local locksmith Birmingham. If you would like a higher security lever lock, your locksmith Birmingham can discuss the range of options available to you and arrange an installation at a time convenient for you. When people need a locksmith most is varied, but the most common reason is usually when an individual has had the unfortunate mishap of finding themselves locked outside of their property. This can usually be for a number of reasons, but when the trouble does strike, it’s important that an emergency locksmith Birmingham is always on hand, ready willing and able to take your call. Unbeknownst to many individuals in Birmingham is the need for locksmiths to have a multitude of skills. It’s not as simple as being trained as a locksmith in general; like other trades, there are many specialisms. Here at your local locksmith Birmingham, we have worked hard to ensure all our lock engineers are fully trained and qualified to tackle not just issues with domestic properties, but commercial ones too. This means that your locksmith has gone through expert extra training to ensure capability to deal with the whole of security issues thrown up by business premises. This is in large part due to the variation in type of commercial premises. Businesses in Birmingham range from large industial complexes, to offices, shops and warehouses. Years of experience means our lock technicians can tackle issues at all these premises and more! What’s more, whilst the security for businesses needs to be robust, larger budgets and higher value equipment usually means an increased willingness to invest in high specification security. This means many businesses elect for their expert locksmith Birmingham to assist them with installations of CCTV systems and alarm systems. What’s more, many businesses are moving away from traditional lock and key security. As such, a professional locksmith Birmingham can help install and programme any biometric or keypad locks you may wish to have installed on your premises. This local security provider also likes to remind customers that large works will receive discount so if you need a large number of locks in your premises changed, make sure you call your locksmith Birmingham today! As a business owner, when you are in need of improving, maintaining or repairing the security for your business premises, there’s no need for you to go on the hunt for a specifically trained, commercial locksmith Birmingham. Like with many other tradesmen and women operating in the city, all our expert lock engineers are fully trained and qualified to work on all types of properties, be it homes or commercial premises. Of course, this may seem dubious to some as commercial premises vary far greater than the security issues posed by our houses. 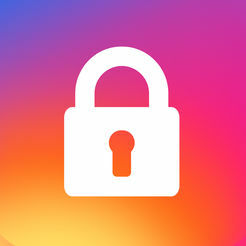 For example, your locksmith Birmingham regularly conducts security improvements and maintenance on premises across the city, which include shops, warehouses and offices. 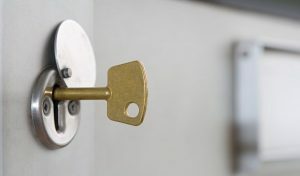 With each type of premises comes different challenges, but all can be tackled by your professional locksmith Birmingham. 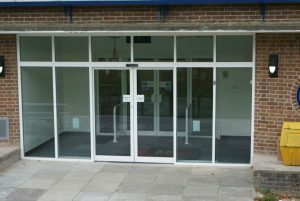 One particularly common door we like to recommend for business premises, particularly shops and offices, is an aluminium door. This makes particular sent for shops because it simply looks more stylish than wooden or UPVC doors on the high street, and it is far more robust. Most petty criminals choose to ignore stores with aluminium doors as they are simply far more difficult to try and gain entry – after all, they are made of metal! Your locksmith Birmingham is happy and competent to assist you on any issues regarding realignment or fitting of a brand new aluminium door. If you have trouble with an existing aluminium door, it’s worth understanding the basics of how the door operates to allow you to properly diagnose the problem to your expert locksmith Birmingham. Speedy diagnosis in emergency situations is crucial after all. The aluminium door is slightly similar to a UPVC door in that it will be comprised of an external cylinder and an internal mechanism. 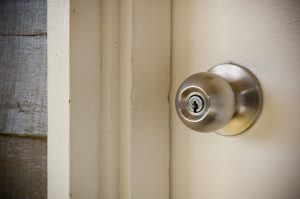 It’s worth investigating whether your door has a hook bolt lock or latch deadbolt mechanism. Such knowledge will help your professional locksmith Birmingham provide you with an accurate, reasonable quote. Here at locksmith Birmingham, we work 24/7 365 days a year to make sure if you’re in Birmingham and you need a locksmith, we’ll be there for you, fast. Don’t worry about prices either, we’re super competitive and if you book a call out we’ll be able to quote you on the phone with just a few details. We’re thankful to the people of Birmingham, for their continued support and business throughout the years ad hope we can continue to provide you with the locksmith services you need, when you need them. Locksmith Birmingham act quick in an emergency so you’ll never be locked out for too long. all of our staff are fully trained by us, so you can be safe in assuming we’re sending you someone who’s full capable of an excellent job. Not only that but we also vet and CRB check all of our staff so our customers know that not only are they getting sent a very capable locksmith but also someone who they can trust around their house. So why not call us today and see if we can’t fix or replace your broken locks today, and if you’re locked out, just call our office staff up as soon as possible and we could get someone on their way to you in a matter of minutes. We don’t put people on hold all day passing them around each department, and we won’t make you talk to automated messages either. All of our office staff are fully trained so you can ask them anything, or alternatively ask them to send someone out and they will as soon as they take some details! Locksmith Birmingham are here for you! Can a locksmith Birmingham professional perform my security door installation? Not only can a skilled professional help you with the installation of your high security door, but it should be so. With us, you will also be able to find the advice, help and guidance you need in the selection process. Professionals with style in locksmith Birmingham areas are always ready to help point you in the right direction. We understand that there is a need to make your home to feel like a home and your business to look professional. The high security door that makes your customer feel like they are in prison. Or the multiple security bolts on your door, with the locking mechanisms visible can make you feel like the world is a dangerous place when at home. Make you reluctant to go out, or just be plain ugly. This is why contacting a specialist at locksmith Birmingham centres is always the way forward. Not only with the installation which often requires specific tools and skill be made to perfection. But you will also have the accompanying guarantees and the reassurance of great aftercare should there be anything you are left pondering afterwards. A skilled locksmith Birmingham professional will perform you security door installation both fast and clean. As in, there won’t be detritus and dirt left behind at the job. It is the belief that a place should be left as it was found or cleaner. And local locksmith Birmingham security door installers who care for you, will always respect your home or workplace. If you have questions about your door security, about locks or if you are simply in need of a 24 hour service to assist you with your emergency locksmith Birmingham lockout situation. Then our number is available above, and there for your use at any time and any hour. Birmingham’s crime rate unfortunately doesn’t seem to look like passing over anytime soon. As a result, customers should consider making small improvements to their home security which will add another layer of protection for next-to-nothing in price. A cylinder left exposed is a whole house left exposed. This is why we always recommend installing an escutcheon plate on your front door, back door and any door which has an exposed cylinder. This acts as a protective plate for the cylinder and beds it into the door. This successfully prevents any potential criminals from being able to successfully remove the cylinder from the door itself. Additionally, you should always check the health of the strike plate of your door. You’ll notice this as the metallic plate on the inside of your door frame which covers the holes where your locking mechanism secures into. The protection garnered from these should not be underestimated and they should always be checked – assuming your door frames have them – to ensure they haven’t worn away over the years. If they need replacing, your reliable locksmith Birmingham always carries spares for a variety of door frames. One of our least favourite phone calls is from owners of homes with sliding patio doors reporting a break-in. This is usually where an unwelcome guest has managed to enter the property by simply lifting the door out of the sliding rails. However, this can be easily prevented by installing an anti-lift patio door lock. This is a keyless locking system which prevents the patio door from being lifted out of the rails and pulled out of the door frame. Not only this, but the more upward outside pressure that is exerted on the lock, the tighter it gets and the more it secures the door in the frame. Everyone deserves access to simple home security improvements no matter the type of doors or locking systems they have. A professional Birmingham locksmith is available all year round and happy to give free advice on any potential improvements you may be considering. Can a locksmith Birmingham complete an affordable installation? These days there is no security situation which cannot be improved in an affordable manner. No matter the type of security you desire or the budget you need to stick to, there is always a reasonably priced, effective security solution available to you. This is often very important when moving home. This locksmith Birmingham recommends that all new homeowners, as standard, should have their locks changed. This is not to suggest anything untoward will happen and that previous homeowners are a concern, but it is a good practice to get into the habit of and if safety is the aim, it’s vital. As affordable home security is paramount and new homes often have a number of access points, your professional locksmith Birmingham is always willing to offer discounted rates to ensure your property is adequately protected. Even if the lock replacements required are lock upgrades, your locksmith Birmingham is always happy to offer you a fair deal to allow you access to effective home security. If you get in touch today with a local locksmith installer Birmingham, you will be contacting a team of dedicated security professionals with years of experience assisting customers and aiding security improvements. All our dedicated lock engineers carry British Standard products which are consistently and regularly stocked. This is vitally important as not only does this guarantee our customers a product which provides effective security for the house, but it also ensures that your home insurance provider is satisfied. This is because British Standard locks are usually the bare minimum for most insurance providers. If you are unsure if your insurance policy requires a certain type of secure lock above and beyond standard, your professional locksmith Birmingham can sift through your documentation to ensure that whichever product we install, your insurance policy will be valid. With dedication to customer service exceeded most customer’s expectations, it’s not hard to see why people recommend the locksmith Birmingham to their friends and family. 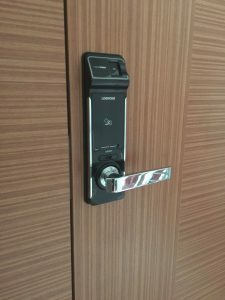 Can a locksmith Birmingham specialist help with my custom made security installation? From daily and regular needs and quotations, all guaranteed work and performed in good time. To custom installation, with fast delivery and high quality high security products that are suited to your individual home or business. You can rely on a specialists in locksmith Birmingham regions to supply and install what you need. If there are already plans in place for your security, if you already know what you need and what you want to have installed. Feel free to contact skilled locksmith Birmingham specialist to ensure that you are not missing anything vital before work on installations begin. Of course you can contact a locksmith Birmingham specialist with regards to help with your custom security installation. With us, high security is guaranteed. Just as the best locks, the strongest keys. High tech and high security alarms and more is part of what we deliver and put in place. All accompanied by guarantees that will keep your mind at ease. 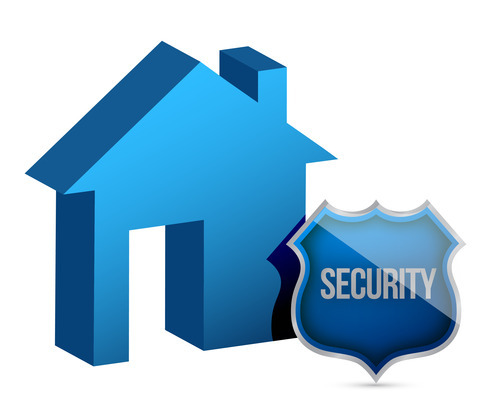 Keep safe and secure with custom home security installers who are experts. With locksmith Birmingham specialists you can always find the help you need with custom and high security installation. In convenient and price competitive form. Speak to us now, ask your questions and get yourself booked in for security checks. Or custom security installations as soon as now. For us, every corner is checked and no risks are left without the proper attention and the reinforcement it needs. Locks, keys and alarms, custom or standard, are the speciality topics of our skilled locksmith Birmingham engineers. Get in touch now with your personal assistant to get a feeling for the wonderful and affordable range of services we provide. Here at locksmith Birmingham we’re dedicated to providing a simple and easy to use service for all emergency and non emergency lock outs, replacements, and new lock installations. One of the things that locksmith Birmingham does to help this on a regular basis is to sit down with our trained advisors who take the calls and to ask them what the most frequently asked questions are and how they think would be best to answer those frequently asked questions. 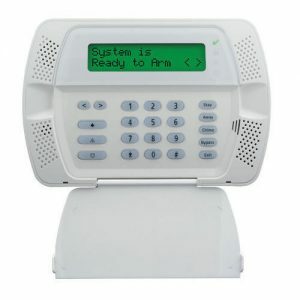 What type of burglar alarms are there? With the explosion of security alarm manufacturers over the last decade there are now a wide range of systems to choose from. This is also the reason why many feel confused when first investigating what type of burglar alarms there are out there. Should you be new to the topic we provide you with what we hope is relevant information and valuable insight to the question. In our experience the most common burglar alarm is the ‘bells only’ type. However with new technology other types such as auto-dialling and a range of different wired or wireless types. You also have the option to choose a dummy alarm. However with the affordable ranges of great active home or business security alarms. The option of a dummy alarm is becoming un-required. A hard wired alarm is as it sounds weird, and you may need a professional service to get it installed correctly. Our service technicians are available to assist at times of your choosing. You can get in touch at any time to book in or ask your related questions. A wired alarm is more solid and stable than a wireless one. However as wireless alarm technology advances, these are also becoming more secure and reliable. The last common type of burglar alarms that is available to you is a monitored one. 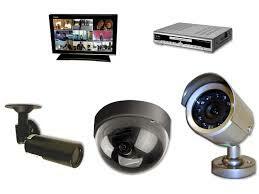 CCTV and direct streaming and recording is integrated in many of the monitored alarm systems and is both practical. As it can be integrated with your smart home and easy to use remotely. Find out more about smart home security systems here. If you are on the market for a new security system, we recommend to speak to an expert. Our trained helpers are here to assist at any hour. Have a discussion about your security today. How can I best ensure my security is in line with my insurance policy? A common issue which arises during insurance claims, both in home and business environments, is the proof that the right security was fitted at the time of the incident. This often comes from the technical specifications given and the lack of expertise to decipher what is needed. There is a limit to how much researching on the internet can help you. The best way to ensure that your security is in line with your insurance policy is to get in touch with a local and trained professional. When assisting homes and businesses with lining up the actual security with the requirements of the policy we often meet with the requirement of a rack bolt. Similar or the same as a mortise bolt. If this is something that you are required to have, it means that a lock which is is installed inside of the door is needed which bolts the door and provides, together with a strong door and frame, a secure door. A point worth noting, is that if you have a rack bolt installed already and you are experience resistance when opening it. Have it checked straight away. This type of lock is breakable with wear and tear that happens over many years, and if you have difficulty opening the lock at present. Chances are it will only get worse. If you’ve taken out an insurance policy it’s natural to want to ensure your security is in line with it. If there is any terms or required features which you don’t understand, our advisers are available all hours to assist. Of course any work that is performed is guaranteed. Don’t wait to get up to date with the security, for your insurance and for your safety. Feel free to ring us at any time. We here at Locksmith Birmingham think that one of the most important things to consider when thinking about preserving a business for as long as possible is customer service, that’s why we attach the same hard work and commitment to customer service as we do with all of our locksmith work. We are absolutely shocked and appalled by the amount of business out there who don’t care about their customer once money has exchanged hands which we think is shocking business behaviour and that’s why we strive to be better than other companies when it comes to customer service. We’ve been serving the people of Birmingham for over 20 years and we firmly believe excellent customer service is not just one of many attributes that have allowed us to continue business, but rather we think it’s right up there with the most important attributes. But any company or business can give you a talk about customer service and it doesn’t really mean anything. That’s where we break the mould, we work a 24/7 365 day a year phone line which shows you just how dedicated to providing our customers with a friendly advisor to talk to any time of the day any time of the year even on bank holidays and weekends, and it’s not exclusive for customers, in fact we encourage you to take an interest in what we do! Call today to discuss any services provided, or any potential queries you might have, all quotes are non obligational and completely free, just give us your postcode and a few details about the job and we can give you an estimate in a matter of minutes! Like other areas around the UK, Birmingham has unfortunately been subject to ever increasing crime rates. It’s not quite clear what factors have contributed towards this but everyone is aware of the danger it brings to properties around the city. 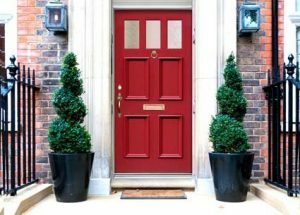 Unsurprisingly this has resulted in more calls to your local Birmingham locksmith enquiring about what steps concerned customers can take in the ongoing battle of securing one’s home. 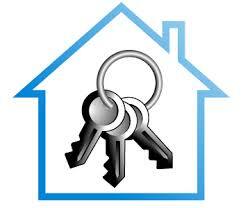 As an understanding and caring locksmith team we decided it would be most appropriate to outline a few measures you can take in further securing your property. Security doesn’t have to be expensive and our focus is always on providing cost-effective methods of protecting your property. A very simple way of protecting your property can be by installing a door chain. Many people think this is only useful in determining who the person at your front door is before letting them in your property, but in fact it can be the difference between protecting your property and letting criminals run amok in your property. If a criminal manages to get through your locking mechanism, the presence of a door chain will usually mean they have to barge the door down to get through if installed correctly. The time and effort it takes to do this coupled with the noise it makes alerting either yourself or a neighbour, should help protect your property and ensure the authorities are alerted quickly. Sometimes wooden doors only come with a Yale lock. Of course, this is convenient for many as it allows for a door to be shut without having to physically lock it with a key. However, this convenience could leave your property vulnerable. Only by installing a mortise lock to your front door can you add a layer of security that truly protects your home from unwanted visitors. For all this and more, make sure you call your local locksmith Birmingham for free advice and a free quote for any works requested. Lost keys and lost access is one of the most common calls that we get. The distress a customer faces in a situation like this is often very tangible. There are many pressures on the individual, the parent, the business man or woman, student or other today. And additional stress from a difficult locksmith Birmingham lockout situation is the last thing needed. A fast and professional specialist will bring you quick relief from that stress if you ensure you save the number above. A skilled locksmith Birmingham assistant will always be ready, and the readiness is what provides the quick response. Being ready means being prepared, vehicle packed, training done and of course tools loaded together with the spare parts. To be able to deal with any situation a locksmith Birmingham situation can bring up. Fast and easy stress relief in the most pressured lockout situations you can imagine. Prepare yourself and secure yourself from a difficult evening, morning, night or day with a trusted and respected locksmith Birmingham number in your pocket. It only takes a few seconds to save us as a contact. And that miniscule investment may save your mind and body a whole world of stress when that cruel lockout situation occurs. To have any other security situation or question addressed. Speak to a locksmith Birmingham professional by phoning us now. Quick quotes, clear as a shallow highlands river on a sunny day. The happy helpers here are glad to hear from you any time. Are additional home security features something that locksmith Birmingham pros can help me with? To add more features to your security all that is required of you is to get in touch with someone who is trained with installation. Home or business security features should never be installed by yourself as it can compromise the security of the product. With the cheap and affordable solutions available with locksmith Birmingham, there is no need either way. Alignment, programming, wiring and more will be done to perfection and the accompanying guarantees will always be there. Our work is performed fast, and with the greatest of care to detail to ensure your safety and security. We know that there is more at stake than simply protecting your valuables. And are well aware that the security features locksmith Birmingham technicians install are there to protect the priceless. The safety of those you love is far more important than any other ordeal. And the protection of your long hours and energy invested in homes and businesses makes our team work with diligence and care at all times. For your home or business security feature installation. Contact the professional and highly trained locksmith Birmingham technicians today. We are always happy to have a conversation with you on the topic of additional security. We can assist with anything from your daily repair and replacement needs to your new installations and upgrades. Stay secure and up to date with the local, friendly and professional locksmith Birmingham by calling the number above when you find a spare moment. Flexibility, customer care and competitive prices are a given. Find out for yourself though getting your competitive quote fast and easy over the phone now. Don’t leave your security and safety without the guaranteed perfect installation required. Speak to locksmith Birmingham now. What’s involved in getting a home safe installed? If you’re new to the world of safes and keeping your most valuable goods in the most secure way possible at home. Here’s some information for you. 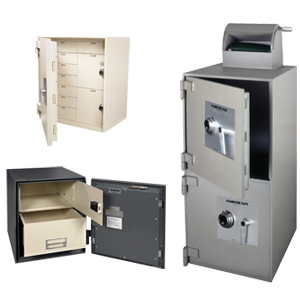 A safe for your home or your business is something that our specialists can assist you with at any time. Professional installation is always recommended. 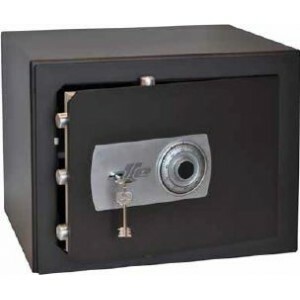 The type of safe and its size is entirely up to you. The most common types provides protection against fire as well as theft. 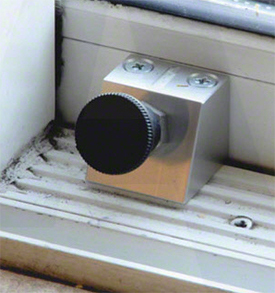 Fixed to the wall or the floor using a specialist tool as so to stop burglars from easily dismounting it. What’s involved in getting a home safe installed depends on the type of safe you choose. If you ring our professional installers it’s as simple as deciding what to get and setting a time for installation. Should you be interested performing your own installation. Be aware of the potential of having to buy specialist tools to have it mounted. When picking a safe make sure that you pick one that is suiting to your situation and your needs. If your risk of fire is small but theft high the priority should be on a burglar secure safe. Perhaps with additional strength in the opening mechanism. Rather than also opting for protection against fire. Think about what you want to store in the safe before making any decisions as well. Depending on what the main objects will be and make your choice accordingly. Contact us for help with determining what safe is suitable for you. And to have installation, fast and simple from our experienced safe installers. You can ring at any time with your questions or quotation needs. What’s involved when coming to us for your safe installation is a thorough discussion about your needs. A presentation of the options and our recommendations for the situation. And of course the final part which is installation. It’s simple and easy to have your safe installed with us on your side. Always competitive in price, and always looking out for what is best for your security. There are plenty of reasons to have a deep and attentive look at your security situation, as with anything, if you look long enough you will soon find that it teaches you something. The locksmith Birmingham workers have spent extended hours looking at security issues, solutions, products, technology as well as looking with extra vigour at the situations of our customers. Here our work is the most important, here the years of experience and training we’ve gone through pays off, here we get to assist you with your security situation and make your life that little bit better. If you get in touch now, you’ll be able pick a time to do this, it doesn’t take long and your locksmith Birmingham are happy to fit around your schedule. By having a survey and investigation in the name of security at your home will not only assist in bringing the security products and physical protection you need in place, but will teach you how to look at your own security with a set of new eyes. This is especially true if you are unfamiliar with the world of home security. Locksmith Birmingham are available all day and all night and the number above is there for your use during any hour. There are no reasons for hesitation should you have questions and you can count on the prices being competitive and the staff to be friendly and helpful. A survey of security takes no more than half an hour for a regular sized home and after such a check you’ll hopefully feel a little enlightened by the experience and hopefully you will also feel safer due to the knowledge about your own security that you will hold. 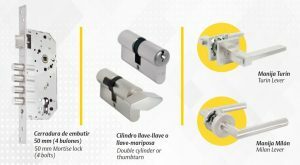 You may or may not have heard about a break in technique called “lock snapping”, this is most common form of break in performed on a UPVC door and you could be at risk if you still have your original cylinder on your door. 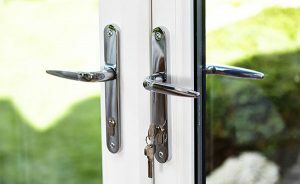 It’s not just UPVC doors, but rather any door that uses a euro cylinder could be at risk. It get’s worse as this technique as well as being common is also very easy to learn and doesn’t require any specialist tools or knowledge, it’s actually most commonly performed with a screw driver and a pair of pliers. It doesn’t have to be, Locksmiths Birmingham have got your back, Anti snap locks work by moving the weak point of the lock to the face of the cylinder so when a burglar tries to break in they’ll be left red faced. And we’ll come to your house and fit anti snap locks to your UPVC door for a very competitive price, we can even do it the same day! Call our lines now and ask us about our anti snap locks or any of the other services we offer and see what we can do for you, today! Two points often overlooked in the first wave of thinking about security where you live. Although you may spend the majority of your home life inside of the home, seeing the walls from the comfort of the indoors. There are many parts which are vital to your premises seen as a whole. In contacting locksmith Birmingham now, a window of upgrade and installation opportunities will present themselves, the nature of many which may come as a surprise to you. Many years has passed since the locksmith Birmingham first set out on their mission to help homes and businesses become more secure places to be at. Time has also shown to us, as a dynamic and developing dedicated group of workers, that some of the best means to building nothing less than a dense security situation. Comes not from the an obsessive close look at the indoor areas, but as a large encompassing security overview, one which include not only the area of the property, but one which extends to the whole neighbourhood as it expands to include direction and probability of risk. It is not the aim of locksmith Birmingham to confuse, although we are passionate about our jobs and about providing you with the best security you can have for the money you wish to spend, we understand very well that often security is not an interest to the customer, they just want something that is quick, easy and which shows them what it is to have a more secure life. This is exactly what the locksmith Birmingham gladly provides, that not saying that we will not happily inform, educate and teach you more about your situation and what you can do to improve it. What does a Security Survey from a Locksmith Birmingham professional involve? One of the services that Locksmith Birmingham Services offer, which is often overlooked but incredibly useful, is a full Home or Business Security Survey. 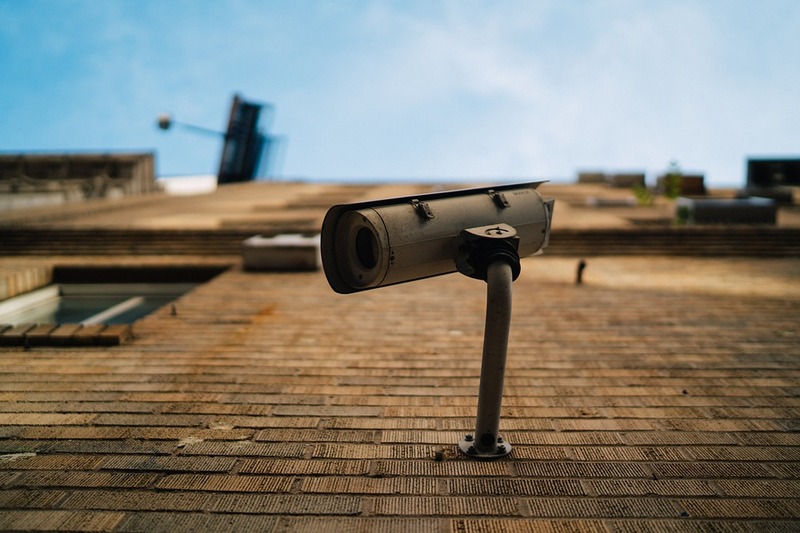 These involve a comprehensive security walk-through of your property with a trained professional who has a skilled eye for safety and can spot anywhere where your security might be lacking. 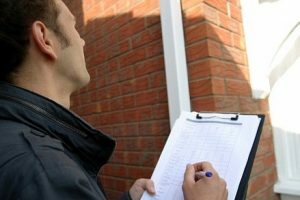 If we are able to spot a problem, then it is likely that a potential thief could also spot the weakness and enter your property without your permission, and so s security survey is useful to give you great peace of mind that your property is secure. Our Locksmith Birmingham experts will start with you outside the property and walk around the outside, looking for easy access points such as open windows, unlocked doors and the like. We will then come inside with you and walk through the whole place, giving you great advice as we go. Our valued customers have often found that there are security concerns that they have simply overlooked, and feel much better once we point out any small or large changes which can be made. Our advice will cover a wide range of options. We may recommend higher quality or different styles of locks for your doors and windows, or give tips on defensive gardening (such as rose bushes). We can advise you on the best alarm systems, CCTV systems for internal and external use, and whether you need high-tech digital security or can do without it. Locksmith Birmingham can install a new safe for your most prized possessions, or security grilles for your glass storefront – the possibilities are endless! And we’ll always suggest solutions within your price range, and never push a sale that you don’t want. So for a professional, valuable Security Survey, get in touch with the team today. How can Locksmith Birmingham help you after a burglary? If you’ve been the recent victim of a burglary, chances are you are going to be very upset and not thinking straight. The stress of a burglary means we often can’t think of what needs to be done immediately, and that’s where the Locksmith Birmingham team comes into play, to get your home secure as soon as possible and have your family feeling safe once again. Our expert staff are trained to be understanding and helpful to you in your time of distress, and will easily guide you through the various next steps. We can get to your home or business within 30 minutes, at any time of day or night, so do not hesitate in calling us as soon as you think there is a problem. The first thing we can do for you is to repair any damage done by the burglars. Smashed windows and kicked in doors are no match for our top team, who can have your home properly secured and fixed up fast. We can then perform a comprehensive security survey on the property, to find where the thieves may have entered and exited, and can advise you on how to increase the security of these areas. We can then change all of the locks in your home; whether window or door, the risk of keeping the same locks may not be worth it, especially if it is unclear how access was gained to the property. We can also help by providing information for your insurance company and the police to ensure that your family are helped as much as possible after this. If your property has recently been broken into, then call Locksmith Birmingham today for a friendly and compassionate service. Here at Locksmith Birmingham, we’re dedicated to improving peoples home security on a daily basis. We think home security is super important to any home and we also feel it get’s overlooked by home owners until it’s too late. We want to raise awareness about how important home security is, and the easier steps you can take to improving your home security, even on a budget. Most people don’t even consider that home security might start in your garden, it’s the bridge between your property and the outside word that a burglar will attempt to cross in order to gain access into your home. 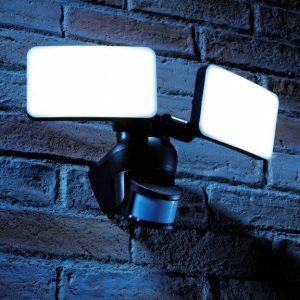 Why not make it a wobbly bridge that’s full of surprises, for instance an exterior light with a motion sensor can be picked up relatively cheaply from a local hardware store and it could prove priceless in the fight against burglars. We’d also recommend checking your doors and locks and then doing some research into the most common types of break in performed on those material doors and those types of locks, for instance if you had a UPVC door you may or may not already know but lock snapping is the most common way a break in is performed on this type of door and this type of lock, so it might be an idea to first of all check if you have anti snap locks, and if you don’t then replace your existing cylinder with an anti snap cylinder. If this sounds like a lot to take in then don’t worry as we also offer a security survey carried out by one of our trained highly experienced locksmiths who’s seen every conceivable type of break in on every type of door and lock! Security with Style with your Locksmith Birmingham Service experts! 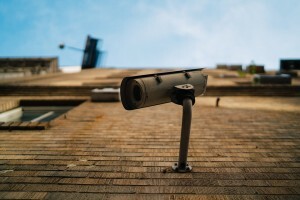 A big worry amongst homeowners is that any additional security feature they may look to have installed in their property will be unsightly, bulky, or just generally look out-of-place with the style of their home. Well there is no need to have such a fear, the security industry has heard the cries and now more than ever have created thousands of varieties of stylish security solutions in all shapes and sizes! If your home is modern and sleek, or if it is traditional and beautiful, there is a Locksmith Birmingham solution available for you. It doesn’t matter what sort of item you are looking for, we have everything available to you at great prices. If you want a bespoke, sturdy metal door, then we can provide. 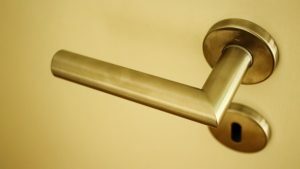 If you are looking for new door handles that fit your decor, then come to us! One of our often suggested security upgrades is to install grilles on your ground floor windows, especially if you live in a busy part of the city. Customers worry the most about these, as there is a general view that they will make your house look like a prison – but you couldn’t be more wrong! There are hundreds of fabulous window grilles available for all styles, in wrought-iron and more materials. 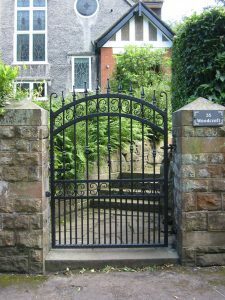 Locksmith Birmingham thinks it helps to think of a wrought-iron gate, and the different styles that these can come in – the same masterful workmanship can be put into making a grille, just on a smaller scale! There is no need to compromise on the looks of your home in order to be more secure. You can have your cake and eat it too with Locksmith Birmingham professional installers today, so contact our team now! Locked Out? No fear! Locksmith Birmingham is here! 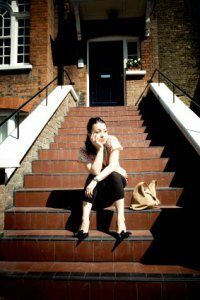 If you’ve been locked out, your immediate reaction may be to panic, and of course there are lots of situations in which a lockout is a panic-worthy time. For example, if you have food on the stove, or have been caught unawares by your door closing behind you on the latch and leaving an elderly relative or small child unattended in the house, then you may be worried! But there is no need to fear, Locksmith Birmingham Services offer the fastest response times around and can be with you in only 30 minutes from your initial call, meaning that your loved ones will be safe no matter what. If, say for example, you have been locked out of the house at 3AM after a fun night out, then you may be thinking “Oh no! I am stranded and alone!” Well do not worry in this situation either, our guys and girls work tirelessly around the clock to ensure that all of our valued customers can get back inside in the shortest time possible! So we can be with you at any time of day or night, no questions asked! Our amazing Locksmith Birmingham team is trained to open any door to your home without causing any damage, and so we really are the best people to call for the job. So why look any further? Call Locksmith Birmingham Services today and you will be back in the warm. We don’t even charge call-out fees or VAT, o we’re the most affordable team around. Give us a call now on 0121 439 5626!